I liked this episode so much I recorded it twice. I talk about every team in the conference potentially losing their best player. 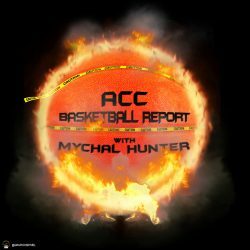 Recruiting news along with Coaching movement and a preview of next weeks show. Tweet @Peacone36 with the hashtag #ACCBR with the name of the Intro song. First 3 people who do so will get two of the ACCBR stickers with the new logo. Tune in next week for the Harold “Tee” Little interview. Duke already has its next annoyingly good white kid.